Last Thursday evening, I was glued to my computer, watching the live stream of Hofstra vs. William and Mary go not one, not two, but three overtimes. In the end, the Pride made more shots than the Tribe and held on for a 93-90 victory. That meant two things to me. One, Hofstra was now going to Elon Saturday still undefeated in the CAA at 4-0. Two, I was going to be there at the Schar Center at Elon University to see my alma mater undefeated in conference playing for a chance to be 5-0. I had decided about a week before the game to go. All that was left was seeing if my long time color analyst, aka my older son Matthew would go with me. That took all of a few minutes. We decided to make it an overnight trip once the forecast came into view; winter storm watch with potential freezing rain. The Winter Storm Watch for Burlington, North Carolina turned to a Winter Storm Warning on Friday. Glad we were only staying two miles from the Schar Center. Saturday was a day full of basketball. My friend Brad, who held the Wofford all time free throw shooting percentage record until Fletcher Magee destroyed it, is an amazing man. Not only he is a pediatrician, but someone who loves coaching. We have coached baseball together for four years. He coaches FIVE basketball church teams, including his daughter's church team, along with the 10U travel baseball team we coach together. Brad somehow manages it though he occasionally gets his coaching assistants/friends, including yours truly, to head coach a game when he has a conflict. Matt played 6th/7th grade basketball last season with his friends. When he moved up to 8th grade, many of his travel baseball team friends were only now in 7th grade (Matt's birthday is in July, so he's young for an 8th grader). And Brad has so many players that he split the players into two teams, one of which has both his sons (one is a 7th grader and one is a 5th grader who's so good he plays with 6th and 7th graders). So Matt's friends are equally split among the two teams. Then we have the 8th/9th grade teams that I assistant coach for Brad. So often on Saturdays, we are watching two 6th/7th grade games, then either watching or coaching the one 8th/9th grade team (I did that the Saturday prior) and Matt is playing in his game while I help coach from the bench. Matt's game was the final game of the multi church game marathon for us. And that was after Matt had South Carolina region band tryouts early in the morning (he plays the trombone). Matt's team played another very good team on Saturday. We were down nine at the half but made some adjustments in the second half and rallied. But we fell short 39-35. Matt made two of his three shots from the field, including burying an early first half three pointer. It was a fun game. We had already brought our overnight bags with us and after we said goodbye to my wife and my younger son, Jonathan, we headed out for the slightly less than three hour trip to Elon University. Elon is a private liberal arts college founded in 1889 and is located in Alamance County, North Carolina with about 6700 students. The Schar Center is a new 160,000 square foot facility that opened in August 2019. It houses a practice court, as well as the arena, which seats about 5100. It's named after two of the school's donors, one of whom is the founder and chair of the fifth largest homebuilding company in the nation. We got there early and stayed in our car till about 6:00 PM, then headed to our seats. You have to walk up a flight of stairs to enter the building. When you walk into the Schar Center, you immediately notice that the arena has a large digital scoreboard on one of the end of the court. It has a large concourse around the arena where concessions are located on the left and luxury boxes on the right. The main seating area is the lower bowl. It's pretty much the standard setup for any new arenas built in the past few decades. However, Elon did a very nice job with the design. After getting some soft pretzels at a pretzel cart, we went over to the main concessions and along with two waters, I got a "Phoenix Dog" , a hot dog topped with barbecue, slaw and fried onions. It's delicious. Later, I got a "small" cup of mint chocolate chip from the Smitty's homemade ice cream stand. As you can see that is not my definition of "small" ( a large is the same amount of ice cream in a large waffle cone) and I was very happy. We got to our seats and within just a few minutes, Hofstra Head Coach Joe Mihalich came up to say hi. It turns out besides the small contingent of Hofstra fans behind the Pride bench, Matt and I were likely the only two other Hofstra fans in the building. And when we came to our seats, you could tell we were Hofstra fans by Matt's gold Hofstra jersey, which he got several years ago. Coach Mihalich mentioned that he saw Matt's jersey and he wanted to come up to say hi. He also noted that next time that we were going to go to a road game to contact them so he could leave us tickets. This was again noted to me when Assistant AD Jay Artinian and Stephen Gorchov when they came by to say hi. OK, next time I'll ask for tickets. Hofstra had entered the game on an eleven game winning streak after the triple overtime thriller and was the only undefeated team in conference at 4-0. Elon was in last place in the CAA at 1-4 but had just come off a tough overtime loss at the Schar Center to Northeastern. The Phoenix love shooting the three averaging ten three pointers per game. And I was in the restroom, the restroom sound system was playing the Elon pre game show. Elon head coach Matt Matheny was very confident and said he thought his offense would work well against Hofstra's matchup zone, despite Hofstra leading the CAA in three point field goal percentage defense. Well, anything is possible in the CAA and last Saturday night showed that again. The Pride jumped out quickly to a 7-0 lead. Two layups by Jacquil Taylor sandwiched a Justin Wright Foreman three pointer. But the Phoenix rose from the early seven point deficit and Steven Santa Ana and Tyler Seibring would combine to score Elon's first nine points. A Seibring free throw would tie the game at nine. Hofstra would answer and go back up five 16-11 after a Dan Dwyer layup. Twice Elon would come back to tie the game only to see Hofstra take the lead. The Phoenix then finally took the lead 25-23 on a Seibring jumper. Taylor would tie the game at 25 again with a dunk with 5:24 left in the half. But the Phoenix would end the half on a 12-4 spurt, hitting five of six shots in that spurt including two three pointers. The Phoenix had a 37-29 lead at the half. After the brief 7-0 Hofstra lead, Elon did a very good job of moving the ball around against Hofstra's matchup zone. I really thought Hofstra should have switched to man to man after halftime given the Phoenix shot 15 of 29 from the field in the first half. Meanwhile Hofstra was too three point happy in the first half, shooting 4 of 13 from beyond the arc. Also, they didn't do a very good job of getting Wright-Foreman the ball. Despite leading the Pride with ten points, he had only seven field goal attempts, making four of them including 2 of 4 from beyond the arc. The Pride were on defense on our side of the court Hofstra came out in their matchup zone again in the second half. Seibring hit the first basket of the second half to put the Phoenix up ten. From there. Hofstra started chipping away. First a 9-2 spurt cut the Elon lead to three, 41-38 as Hofstra drove the lane more getting three layups in that spurt. Then after Elon was up 50-45, the Pride again answered with a 7-0 run as Jalen Ray nailed a three pointer to put them up 52-50. After Federico Poser's three point play gave the Phoenix a 53-52 lead, Jacquil Taylor tied the game with a free throw. Ray would then again nail a three pointer to put Hofstra up 56-53. Taylor would follow with a three point play of his own and a layup by Eli Pemberton capped a 9-0 Hofstra run to put them up eight 61-53. The Pride had made the necessary second half adjustments working the ball inside. Meanwhile on defense, Hofstra did a better job of extending their matchup zone and getting out on Elon's shooters. The Pride still had an eight point lead 65-57 with a little under five and half minutes left in the game. But nothing is ever easy on the #CAAHoops road. Elon would answer with a 7-0 run capped by a Seibring three pointer to cut the deficit to one, 65-64. But Wright-Foreman drove the lane and then made a nice dish to Taylor for a dunk to put Hofstra up 67-64. From there it was basically down to free throws. 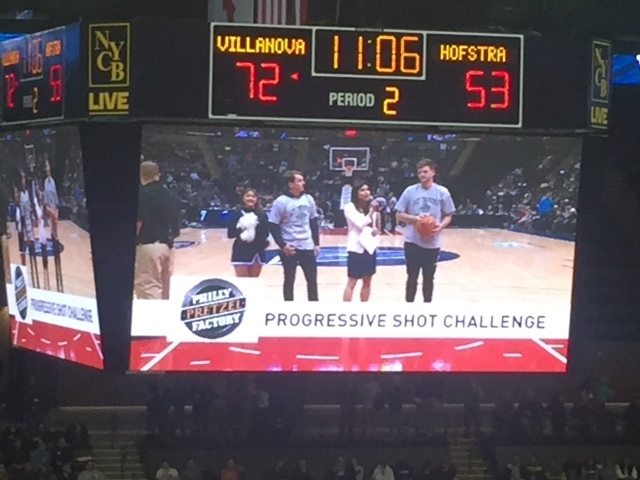 And Hofstra, the leading free throw shooting team in the CAA, continued to excel from the line. They would hit seven of their last eight free throw attempts to seal the hard earned victory 74-71. Hofstra held Elon to 9 of 28 shooting in the second half, including an ugly 4 of 18 from beyond the arc. Elon got their ten three pointers on the game, but it came with 28% shooting from beyond the arc, below Hofstra's CAA leading three point field goal percentage defense. Meanwhile Hofstra shot 46 percent from the field in the second half and a ridiculous 19 of 21 from the line after only attempting two free throws in the first half. After we left the Schar Center, we made the nearly two and a half mile trip to the Best Western Plus in Burlington, North Carolina. Little did I know until the next morning that the Hofstra team was staying there. Jay Artinian walked by the breakfast room and said hi again. We talked about any road win was a good win. He had to run because they had to make their flight. As I checked out, I told the hotel clerk that I didn't know Hofstra was staying there. She said they were so quiet and well behaved, unlike a lot of other teams that stay there. She said she told the coach as much earlier that morning. Coach Mihalich had told me Saturday night that his team was a really good bunch of guys. The hotel clerk confirmed that. Turns out they are a really good basketball team that knows how to gut out a tough win. That will serve them well as conference play only gets tougher. And oh yeah, I hope to ask for tickets for the February 16th game at UNCW. It's been going on eighteen years since Hofstra Men's Basketball last made the NCAA Tournament. The Pride moved from the America East to the CAA right after winning their second America East Championship in a row. They would find the Colonial Athletic Association a much more difficult conference to make their mark in. Hofstra has had very few significant chances to make the NCAA Tournament since moving to the Colonial. Twice they lost in the CAAHoops Tournament Finals, both times to UNCW. In 2006, after knocking off George Mason in the semifinals, the Pride's late second half championship game rally fell short, losing 78-67 to the Seahawks. The Pride thought they would get an at large NCAA bid. But they would be snubbed out of the tournament, settle for a NIT bid and would have to watch George Mason make it to the Final Four that year. Ten years later, after having a double digit lead for a good part of the game, Hofstra saw UNCW rally to take a lead late in the second half of the championship game. Hofstra would respond and force overtime. But the Seahawks would then eventually break a tie with 1:26 left in overtime and win the game 80-73. Again the Pride would have to settle for a NIT Bid, their fifth in their history. Needless to say Hofstra fans don't "Feel the Teal". When I moved down south nearly six and a half years ago, I kept two of my four Hofstra Basketball season ticket seats. This allowed my friends Tony, aka Tieff, and Mal to continue seeing the Pride play at The Mack. I still follow the Pride pretty religiously, watching the Hofstra home games via their online stream site. Occasionally when the Pride is in the region to play and time has allowed it, I've been able to see the Pride at Appalachian State, Elon, and Charleston, where I got to see a Hofstra win and a good steel drum band. Finally, when the CAA Tournament wisely moved down to North Charleston in 2017 (sorry folks, but there have been more fans at CAA Tournament games in Charleston than Baltimore), I got to see the Pride lose a first round Pillow Fight game to Delaware. During the Christmas holidays, my family travels back up to Long Island to see family and friends. This allows me to go to a Hofstra game (and even other college basketball games when the schedule allows), see old friends there and relive all the fun I had over eleven years of regular home games at The Mack. This holiday break was no exception as it allowed my color analyst, aka my older son Matthew and me to see the Pride play an old America East rival, the Fighting Blue Hens of Delaware the last Friday night in December in Hempstead. After starting the season 3-3, the Pride were in the midst of a seven game win streak and offered up premium game tickets for $7.77. I went online, got two tickets and we went to The Mack. May I digress for a minute? I love college basketball, whether it's men's or women's college basketball. And now living in Columbia, I have had both season tickets to University of South Carolina Men's and Women's college basketball. Due to travel baseball commitments, I have only kept my USC Women's tickets (and when you live in Columbia, the University of South Carolina IS USC). As much as I like watching basketball games in the Colonial Life Arena and I have very good season ticket seats for the women's team, there is nothing like having great season tickets in a 5000 seat mid major arena of your alma mater. And for eleven years, it wasn't just having terrific seats often watching a lot of good games (and I saw my share when the Pride were in their 2004-2007 heyday). It was also seeing all your friends, sharing laughs and funny comments. It wasn't just a game at The Mack, it was a night on the town, an experience. That's what made the Hofstra games even more special. I greatly miss that. After saying hi to some long time Hofstra folks, we went to our seats, which was in the same section and not far from my season tickets, section 111, Row D. I immediately found out that two longtime friends that I knew when they were Hofstra Law students, Michael and Kari Langer, had season tickets right in front of my longtime season tickets. Michael and Kari came down to say hi while I was saying hi to my good friends Jaden Daly and Bob Sugar. Michael had a few extra seats in his section and he kindly offered them to me so I could sit near Tieff. We happily accepted. The Mack has undergone some significant changes in the past year. Gone is the above the court scoreboard. In its place are two significantly large HD digital scoreboards on our side of the court and two smaller HD digital scoreboards on the other side. It takes a little while getting used to turning your head on our side to see the large scoreboards. But it's a significant improvement over the old scoreboard that was a good eighteen years old. Even though Hofstra came in on a seven game winning streak and Delaware had just lost to a very bad Delaware State team, you never know what happens in #CAAHoops, especially the first conference game of the season. Delaware entered the game 8-5. The Blue Hens had also played two teams Hofstra played; Maryland and Stony Brook. They lost two close games to the Terrapins and the Seawolves, while Hofstra split with those two teams, losing to Maryland after having an early second half lead and they won at Stony Brook 71-64. As noted, Hofstra came into the game versus Delaware on a seven game win streak with a twenty point average margin of victory. But outside of the solid road win over a now 10-3 Stony Brook that has won road games over South Carolina, Rhode Island and Northern Iowa, Hofstra has not faced any real challenges in their win streak. Their three losses on the season were all on the road to a Marshall team that made the third round of the NCAA Tournament last season, Maryland and VCU in overtime. Three teams that are now a combined 26-12. In each game, Hofstra had a lead in the second half. So the Pride had played well but now came their first conference test. Delaware won the tipoff and Eric Carter, likely Delaware's best player, made a layup to give the Blue Hens an early 2-0 lead. It was their only lead of the game. Eli Pemberton quickly tied the game with a jumper. It was the start of a 10-0 Pride run, capped by, what else, a Justin Wright-Foreman three pointer. Delaware would get another layup to cut the lead to six, 10-4. It was the closest the Fighting Blue Hens would get the rest of the way. The score was 18-10 Hofstra with a little over eleven and a half minutes remaining in the first half. Over the next eleven plus minutes the Pride would go on a 28-5 run. 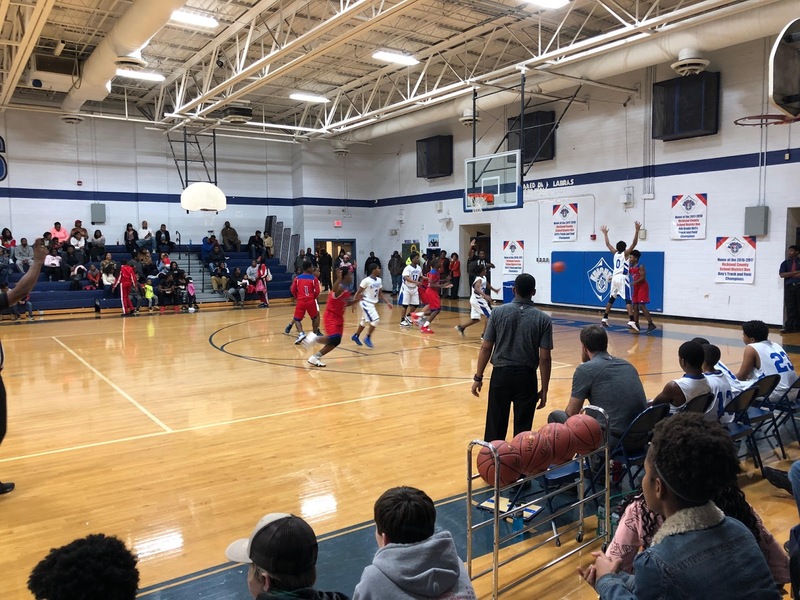 During those eleven plus minutes, the 1500 in attendance were treated to a dominating performance on both sides of the court. The Pride moved the ball around on offense and seemingly buried every open shot. At one point during the run, they made eight of ten shots from the field. The Pride would finish the first half up 48-18. They shot 17 of 27 from the field in the first half and 6 of 10 from beyond the arc. They topped it by going 8 of 9 from the charity stripe. Meanwhile, Hofstra limited Delaware to 7 of 30 from the field in the first half, including 2 of 13 from beyond the arc. Makes sense that Hofstra is first in #CAAHoops in Three Point Field Goal Percentage Defense. After Joe Geyer was kind enough to give Matt, Tieff and I halftime passes to the Hofstra lounge to eat brownies, the second half was really no different as Hofstra extended their lead further, winning the game by FORTY FIVE points, 91-46. The Fighting Blue Hens only shot 26% from the field and 21% from beyond the arc. The win became even more impressive after Delaware won their next two games, a road win at Northeastern and a home win over William and Mary, two teams that were picked to finish in the top four of the CAA. What the stats don't show is how well Hofstra moves the ball on offense. They also have four deadly shooters in the starting lineup; Wright-Foreman, the reigning 2018 CAA Player of the Year, Pemberton, point guard Desure Buie and transfer newcomer Tareq Coburn. Throw in Jalen Ray off the bench and you had 75 of their 91 points on the game, including shooting 12 of 18 from beyond the arc. However, Hofstra has never really had a problem with offense under Coach Joe Mihalich. Since the 2014-15 season, Hofstra has finished no lower than third in scoring offense in the CAA. Currently, Hofstra is first in scoring offense, averaging over 82 points per game and first in field goal percentage at 49.1%. The Achilles Heel has always been defense with the Pride. Since Coach Mihalich has taken over the team, Hofstra has finished no higher than seventh in the CAA in scoring defense. Each year, they have given up on average over seventy points per game. In the last two seasons, the Pride have given up 77 points per game. Even in the 2015-16 season when they finished first in the regular season, Hofstra gave up 73.7 points per game. This year, Hofstra has given up an average of only 66.8 points per game, a difference of over 10 points per game. The difference? A much more aggressive defense. The Pride are second in the CAA in steals at 6.9 per game, as opposed to 5.0 last year. Hofstra also leads in Three Point Field Goal Percentage Defense at 30.7% per game as opposed to 36.3% last year. What the stats don't show and my eye test last Friday night showed was Hofstra playing a much more aggressive zone defense, getting out and contesting shooters much more than they have in the past. They also really hustle on loose balls and have done a lot better on winning 50-50 balls. Coburn in particular really works hard on the defensive end. Six foot 10 graduate transfer Jaquil Taylor has also given the Pride a shot blocking presence. He's second in the CAA in blocks at 1.4 blocks per game. He contests a lot of shots, forcing a lot of misses in the paint, he really moves his feet well on defense and gets his share of rebounds (he had 12 against Delaware). Carter, who leads Delaware in scoring at 18.2 points per game, got into early foul trouble playing against Taylor and was limited to seven points in the contest. It was amazing during the game as often I would turn to Tieff or Defiantly Dutch, Jerry Beach, when I was sitting with him and say "Who is this Hofstra team?!" I was finally seeing a complete Hofstra team. The team that limited Stony Brook to 64 points on the road. The team that won at Manhattan 80-50. It was real. The Pride would win their other game against Drexel in similar fashion on Sunday. They roared out to a 47-27 halftime lead, holding the Dragons to 1 of 9 from beyond the arc in the first half. Drexel would have much stronger second half, shooting 51% from the field in the half and cut the lead to six, 70-64. But Hofstra would outscore Drexel 19-11 the rest of the way and win 89-75. Hofstra is now on a nine game win streak and a chance for ten in a row today. But it won't be easy as they play pre-season favorite Northeastern at The Mack. The Huskies have struggled due to injuries starting out 7-7 on the year. But they are deep and talented with Vasa Pusica, Jordan Rowland, Shawn Occeus and Donnell Grisham Jr. It's a critical game for Hofstra to win, plus they need to hold onto the Barone Bowl (sorry Mike Brodsky! ). Even with Hofstra's terrific start, the College of Charleston, the defending CAA Champions loom large again. They have actually top the Pride's winning streak as the Cougars have won 10 games in a row. They even have a big road win over VCU, a team that Hofstra barely lost to in OT. Charleston has wins over UAB, Memphis and Rhode Island. With Grant Riller and Jarrell Brantley, the Cougars have an elite 1-2 punch. They are still the team to beat but this Hofstra team may be the Cougars' best challenger in the CAA. With half of their rotation - Wright-Foreman, Buie, Taylor and reserve forward Dan Dwyer all seniors and after last season's third place regular season team lost a disappointing quarterfinal game to UNCW (the Teal again! ), the Pride know their window to succeed is closing. With an elite offense and a much better defense, Hofstra knows this is their best chance to finally break the eighteen year glass ceiling and make the NCAA Tournament. I can tell you this team has me excited. For the first time in a few years, I have got tickets to see a regular season Hofstra road game at Elon next Saturday evening. And depending on my schedule, I hope to see them at UNCW and at the final CAAHoops tournament at North Charleston for at least the next few years. Next year, the CAA Tournament will be in Washington, DC. For a long time fan of my alma mater, there's excitement again about the Pride. However, I know how fleeting college basketball success can be. For Hofstra, the time is now. 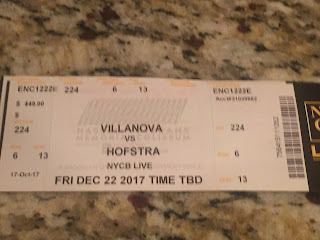 When Hofstra - Villanova was scheduled earlier this year, Hofstra fans, myself included, thought this was a neutral site game. I even wrote on Wednesday about "Wright Comes Home", about how Jay Wright was coming back to the Long Island area, with a team of his playing at the NYCB Live at Nassau Veterans Memorial Coliseum again after seventeen years. Well Wright did come home...or came to a home game. 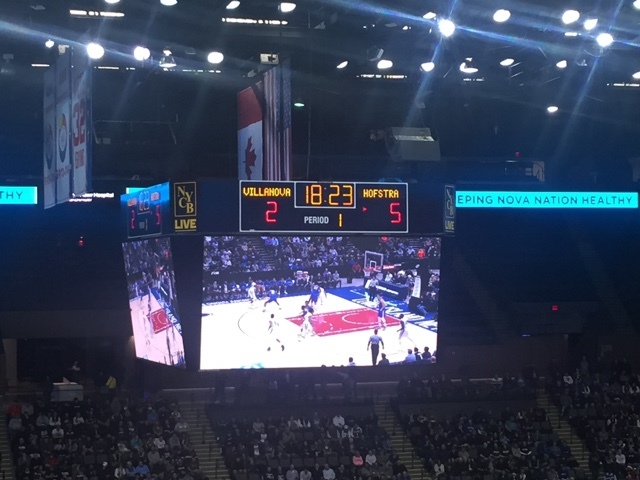 Turns out last night's FS1 nationally televised game was a Villanova "home game" due to a $60 million renovation on Villanova's home court, Finneran Pavilion. Problem was that the "home game" was played in Uniondale, literally right across the street from the road team's school, Hofstra. After having dinner with my good friends Tieff and Mal, along with my older son, aka my color analyst Matthew at Houlihan's on Merrick Avenue in Westbury, we took the five minute drive over to the Coliseum. When we got out of the car and made the walk to the front entrance of the Coliseum, we were struck by something fifteen minutes prior to the game starting time - Really long lines to enter the building. Turns out that they had just opened the gates a few minutes prior to us getting there. As Hofstra fate would have it, we literally ran into Jerry Beach's MUCH better half, Michelle, and their very cute daughter Molly. Molly also happens to be really awesome, because she busts her dad's chops all the time (Keep it up Molly!). As we chatted, we noticed the line we were on was really slow. Mal first made the move over to end of the next line and within a minute caught up to us. So we made the move over and got in to the building before many people that we were behind in our original line. That right there should have told me that we were in for a surreal night. We just got into our section in time for the national anthem. 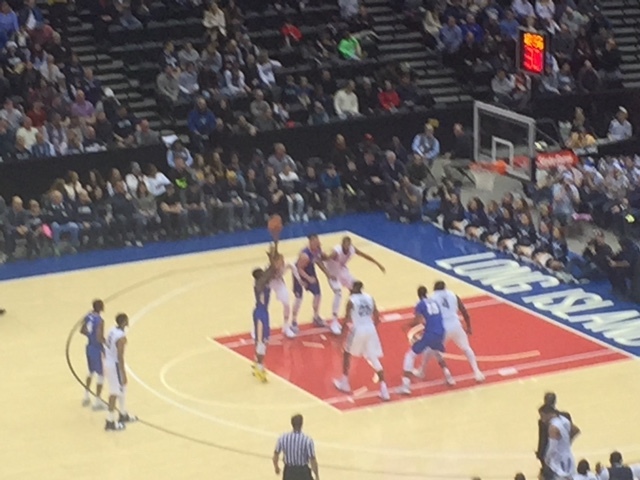 Then we took our seats in Section 224, Row 6, along with many other Hofstra fans. It made sense since I got the tickets through Hofstra. I would see long time Hofstra faithful friends Geoff Sorensen and Joe Geyer as Hofstra was first announced as the visiting team. 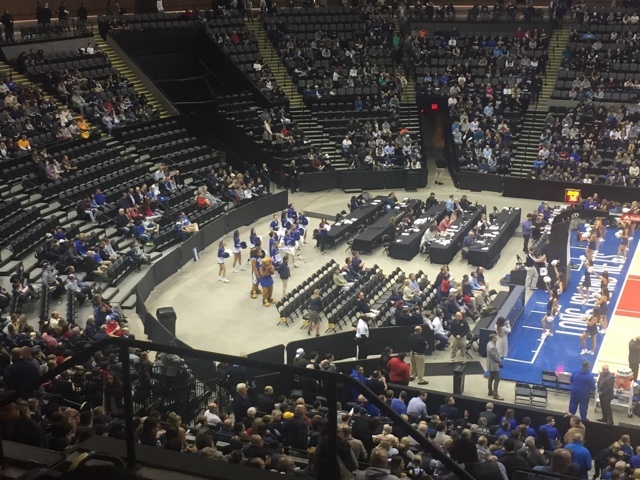 Tieff made a quick reference to the location of the Hofstra cheerleaders, who were basically banished with the mascots Kate and Willy way behind the press box behind the Hofstra basket. Then Villanova was introduced to the majority of Nova fans. The announced attendance of 7,892 was probably 80-20 Nova fans. Hofstra started out strong early as who else, Justin Wright-Foreman, scored several baskets and the Pride actually had a 9-7 lead four and a half minutes into the game. The Pride were only down one , 17-16, with a little less than twelve and a half minutes remaining in the first half when the Wildcats went on a 12-0 run to go up 29-16. and never looked back the rest of the game. The Hofstra guards, Eli Pemberton in particular, struggled with Nova's zone trap at mid court. Hofstra committed fifteen turnovers as opposed to Nova's seven on the game. 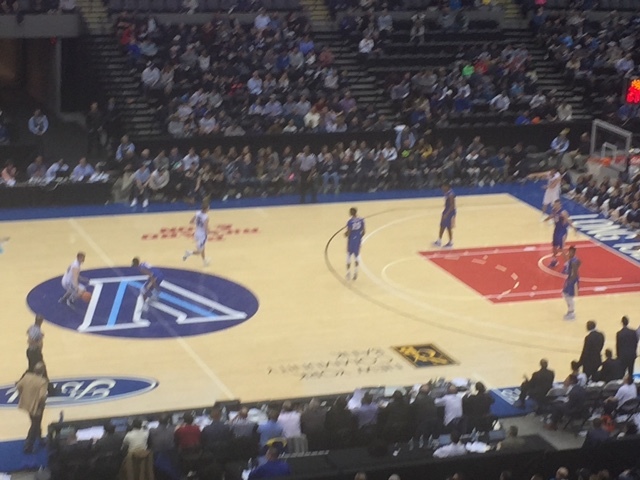 As for the "home team's arena", in August 2015, Forest City Enterprises, run by Bruce Ratner, renovated the Nassau Coliseum for $89 million. The renovation included a new metal facade, renovation of the interior and reduction of capacity to 13,000 seats. Let me tell you something...it was not $89 million well spent. The front facade looks like an alien ship landed in a parking lot in Uniondale. Inside, I don't know what was more 70's retro, the faux wood paneling in front of the seating sections or the primitive scoreboard. 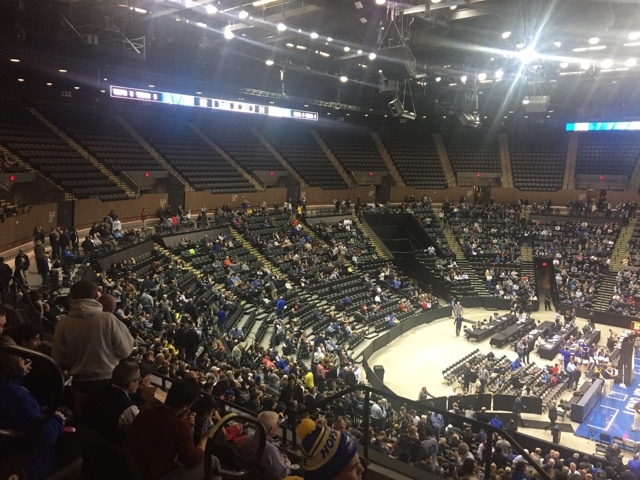 And they did nothing on the biggest issue with Nassau Coliseum over the years, the lack of space in the concourse aisle way. All that was missing was Garry Howatt, J.P. Parise, Eddie Westfall and Gerry Hart to come out suited up in the Islanders' uniforms (Google their names). No wonder New York State has approved a new arena for the New York Islanders, who are unhappy with their "home" at Barclays Center in Brooklyn, another Bruce Ratner run building, at the Belmont Park site. Here's a suggestion for New York State officials for the new Belmont Park arena - Do not give the bid to Forest City Enterprises. Back to the game. During the media timeouts, the media replays were run by NBC 3 Sports Philly. One media timeout promotion was run by the "Philly Pretzel Factory". Given all that and the Coliseum's 70's retro look, all that was missing was Sly Stallone with a gray sweatshirt and we would be in Philadelphia circa 1976. One play epitomized the game for Hofstra. With about eight seconds left in the first half, Hofstra messed up the inbounds pass and eventually turned the ball over with about 1.8 seconds left in the half. Jay Wright called timeout to call a play. It turned out to be a long three pointer by Phil Booth as the buzzer sounded. Nova was up 52-31 at the half. In the second half, Hofstra made a concerted effort to beat the trap and get the ball on the block to their bigs Rokas Gustys and later Hunter Sabety. It was successful in that Hofstra outscored Villanova 36-28 in the paint. But the deficit was too big to overcome and the Wildcats were just too efficient on offense. Despite both teams shooting forty eight percent for the game, Nova had thirteen more shot attempts, making six more field goals. The Wildcats were amazing from beyond three, shooting 16 of 34 from beyond the arc to Hofstra only shooting 5 of 16 from three. All that was left was Nova clearing it's bench and bringing in "The GPA Team" as Tieff called it. Nova would win 95-71 in convincing fashion. Nova had five players in double figures, led by Mikal Bridges with twenty points and freshman Omari Spellman's double double of nineteen points and ten rebounds. Here's the scary thing about #1 Nova - None of their top six players in minutes played last night are a senior. If no one leaves the team early for the NBA draft, they will all be back next season. For Hofstra, they actually played really well, despite the twenty four point loss. They shot the ball well on offense and held their own on the rebounding end. Nova was just too efficient on offense. Had they played this well Wednesday they would not have lost to Manhattan. Wright-Foreman had a terrific game with twenty five points on 9 of 18 shooting. He more than held his own against an elite team. Gustys narrowly missed a double double with eleven points and eight rebounds. 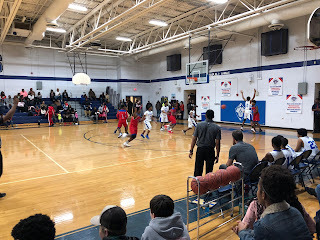 Despite having seven points under his sixteen points per game season average and seven points, Pemberton had five assists and Kenny Wormley had five assists as well. All in all it was a fun night, but a suggestion for Hofstra for next time if they play Villanova. Make it a neutral site game and play it at MSG, not in East Philadelphia, aka Uniondale. The Nassau Veterans Memorial Coliseum needs to be like the 1970's. A distant memory. 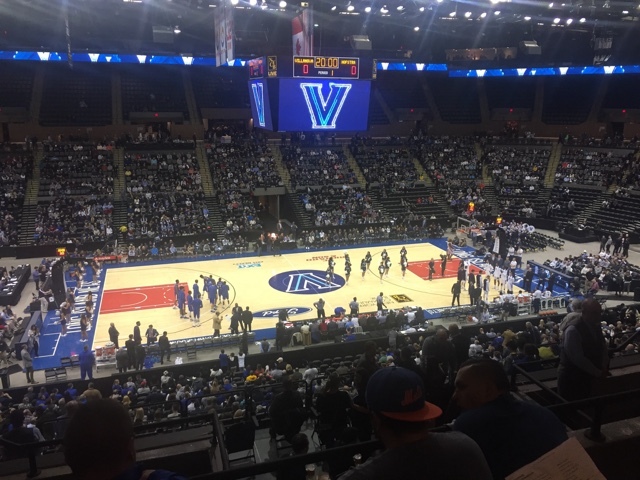 Villanova Head Coach Jay Wright is returning to home, well his former home on Long Island, when he brings in his #1 Wildcats to face his former team the Hofstra Flying Dutchmen. OK, Hofstra is now the Pride, but they were still the Flying Dutchmen when Wright was the head coach. Jay Wright started his basketball career playing alongside Carson Puriefoy Sr. at Bucknell (Carson Puriefoy Jr, Carson's son, was the star guard for the 2015-16 Stony Brook team that went 26-7 and went to the NCAA Tournament). After his playing career was over, Wright became an assistant coach at D3 University of Rochester, which he followed up as an assistant coach at another #CAAHoops school, Drexel University. Then in 1987, he became an assistant for Rollie at Villanova until 1992. Massimino then took the UNLV head coaching job in 1992 when Jerry Tarkanian was forced to resign. Wright followed him there for two years. In 1994, Wright became the head coach of Hofstra, a school that had just joined the America East Conference, having moved from some conference that only Jerry Beach, aka Defiantly Dutch seems to know about. The Flying Dutchmen had not been to a NCAA Tournament since they made two straight NCAA Tournaments in that supposed East Coast Conference in 1976 and 1977 under Coach Roger Gaeckler and star players Richie Laurel and John Irving, each of whom were later drafted by the NBA. The first two seasons under Wright, 1994-95 and 1995-96, were a struggle for the then Flying Dutchmen, as they won only five conference games each season. Then in the 1996-97 season, Hofstra improved to a 9-9 conference record and in Wright's fourth season, the Flying Dutchmen would have their first winning record in years, going 19-12 and 11-7 in the America East in the 1997-98 season. Those first four seasons were merely "Vincent's Shellfish Tower" at Little Vincent's Clam Bar in Carle Place compared to the main dishes in store the next three seasons. The 1998-99 season was the "Strangled Priest" dish, as Hofstra would win its first of two ECAC Holiday Festivals at Madison Square Garden (when the Holiday Festival still meant something) en route to going 22-10 overall and 14-4 in the America East. The Flying Dutchmen would receive a NIT berth, losing to Rutgers 58-45. Then in 1999-2000, a season comparable to the "Trio Feast", Hofstra would again win the ECAC Holiday Festival, then go 16-2 in conference and finish first in the America East. The 2000 America East Championship Game was played at Hofstra's brand new David S. Mack Sports and Exhibition Complex, aka "The Mack", aka "Hofstra Arena". It had just opened in January 2000, replacing the Physical Fitness Center as the home for Hofstra Men's and Women's Basketball, among other sports. I remember the game well because I was in a hotel bar in Washington D.C watching the game on ESPN, sneaking out of a conference I was attending. Led by America East Tournament MVP Speedy Claxton, Hofstra downed Delaware 74-69 to win the America East Championship and an automatic berth in the NCAA Tournament. Along with the win, there were three other memorable moments. The first one was seeing the start of the broadcast show the "Delaware Fightin Blue Hens vs. Hofstra Flying Dutchmen" on the screen. Talk about two distinct team mascots. Another memorable moment was when the bartender asked me "Where is Hofstra?" Then I had to explain where Hofstra was on Long Island, much to a somewhat confused bartender. Finally, seeing the Hofstra fans storm the court after winning the game, it made me determined. The next year, I am going to be at the America East Championship Game. Hofstra would eventually lose to Oklahoma State in the first round of the 2000 NCAA Tournament. Claxton was drafted in the first round of the 2000 NBA draft by the Philadelphia 76ers. But Wright and the rest of the now Hofstra Pride, as they changed their name to April of 2000 would return to defend their championship with "Grandma's Sunday Sauce", their best season yet. The Pride would just miss out on winning their third straight ECAC Holiday Festival, losing a heartbreaker to Penn State in the championship game. After that, led by eventual NBA player Norman Richardson and now NBA assistant coach Jason Hernandez, the Pride dominated the America East again, going 16-2 again and once again playing Delaware at The Mack for the championship game. This time I was present with my friends Tieff and Mal to see Hofstra down Delaware 68-54 in front of a sold out crowd, completing a trifecta of double digit wins in the America East Tournament. What was most impressive was the Pride's defense under Wright, forcing Delaware to use the entire shot clock on many of the Blue Hens' possessions. In fact, Hofstra held Delaware scoreless the final three minutes and forty six seconds of the game. Impressive. Hofstra's reward was a #13 seed in the 2001 Tournament as the Pride took on Steve Lavin's UCLA Bruins. The Pride were up 33-29 at the half before the Bruins came back to win 61-48. It culminated a three season stretch that saw Hofstra post a 72-22 overall record, which included a 46-8 regular season record in the America East. Little did anyone know that it would be the last appearance Hofstra has made in a NCAA Tournament. Then the job at Villanova became available. Wright took the job and Wright's longtime friend and assistant coach, Tom Pecora took over at Hofstra, as the Pride would leave the friendly northeast confines of the America East for the very Virginia based Colonial Athletic Association (and thus Beach's hashtag #SouthernBias came about). Wright's first three seasons at Nova resulted in three straight NIT bids for the Wildcats. In his fourth season, the 2004-05 season, Wright's team broke through, making the NCAA Tournament and reaching the Sweet Sixteen. At that same time, Hofstra under Pecora would make it's first of three straight NIT berths. The Cats would make the Elite Eight in 2005-06, the same season Hofstra was snubbed from the NCAA Tournament. Eventually, Wright would bring Nova to the Final Four in the 2008-09 season. Seven years later, Wright would break through the glass ceiling, as the Wildcats won the NCAA National Championship in a thrilling 77-74 game at the buzzer on a Kris Jenkins three pointer. Since leaving Hofstra, Jay Wright has won three hundred and ninety six games and have made the NCAA Tournament twelve out of the past thirteen seasons. His Wildcats have been the cat's meow in the Big East the past four seasons, accumulating a ridiculous 63-9 record in Big East play. Meanwhile, Hofstra is going on its fourth head coach. They have only made CAA two conference tournament finals with one regular season championship. #SouthernBias has not been hospitable to the Pride, neither was the NCAA Tournament Committee back in 2006. It's been sixteen years since Hofstra went to the big dance. Friday, Jay Wright comes back home to the Island, when the Wildcats play Hofstra at the newly renovated Nassau Veterans Memorial Coliseum. The last time Hofstra played a Big East team in the Nassau Coliseum was ironically under Jay Wright in the 2000-01 season. The Pride "stunned" St John's 86-80. For me the stunning moment is that Jerry Beach's all time favorite German center, Lars Grubler, played twenty eight minutes in the game. 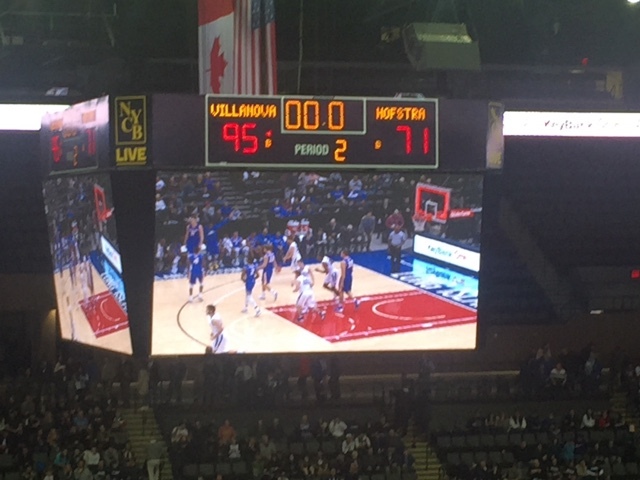 It was the first win ever by Hofstra against St John's. Before that win, the Pride had lost nineteen straight to the Red Storm. His Villanova team is now first in the national rankings. As Beach also noted on Twitter, it's also the first time that an active NCAA Tournament winning head coach has faced his previous employer with the head coach's team being ranked #1. Wright was always good at setting firsts. Yes, Jay Wright is from Bucks County, Pennsylvania. Bucks County is also home to the terrific Bungee Jumpers, one of the best halftime performance groups I have ever seen. And Villanova is right in his backyard. But Hofstra is where Wright first cut his teeth as a head coach. To longtime Flying Dutchmen fans, Hofstra will always be home for Jay Wright. Wright's not the only one going home Friday night. It turns out I will be back in New York visiting family and friends for the holidays. You know where I will be, Wright? Oh yeah. It's good to be back. Welcome home, Jay. My wife Michelle and my older son Matthew were at the First Round Regional of the NCAA Women's Basketball Tournament at Colonial Life Arena Friday evening. They got to the see South Carolina defeat UNC Asheville 90-40. The halftime score was 48-22. In the second half, the Gamecocks over the first five and half minutes outscored the Bulldogs 16-1. The Gamecocks now play Arizona State on Sunday. Here are some pics Chelle took from the game. Enjoy. 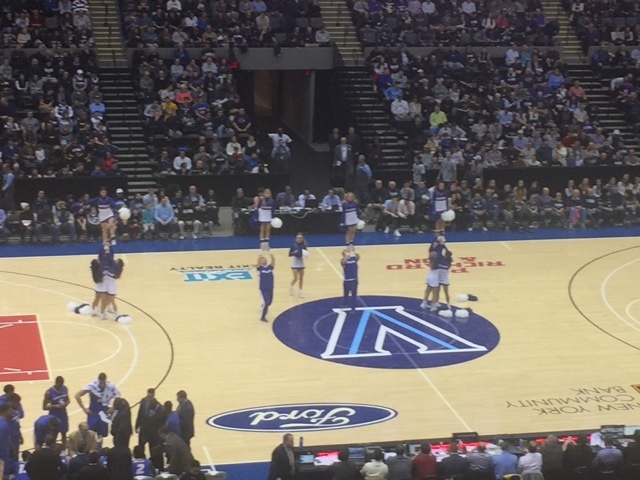 The CAA Tournament Semifinals featured two different styled games. The first semifinal was a game that Paul Westhead would love. End to end action, lots of three pointers and points galore. The System personified. UNCW outlasted William and Mary 105-94 in absolute clinic of offense. It's not too often you shoot fifty six percent, hit twelve three pointers, score ninety four points, and STILL LOSE by eleven points. Un. Real. Then we had the complete antithesis in the second semifinal. Towson and Charleston engaged in a classic #CAAHoops rock fight. And for a good part of the game, Towson's relentless defense had Charleston on the ropes and the Tigers led for most of the game. But Joe Chealey was a one man rally cat, scoring twenty nine points to lead a comeback. The Cougars finally took the lead for good with 4:45 left and went on to win the game 67-59. Charleston now plays UNCW for the CAA Championship tomorrow night at 7:00 PM. Here are the pictures from Sunday.